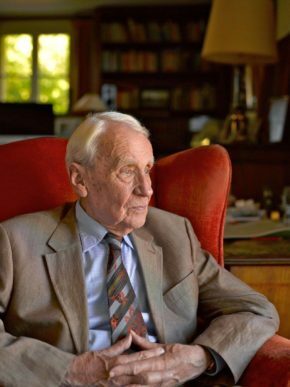 Christopher Tolkien has been awarded the Bodley Medal. The Bodley Medal is awarded by the Bodleian Libraries at the University of Oxford to individuals who have made outstanding contributions to literature, culture, science, and communication. Since J.R.R. Tolkien’s death in 1973, Christopher Tolkien has edited an extraordinary number of his father’s unpublished texts. The posthumously published works include The Silmarillion, Unfinished Tales, and The History of Middle-earth series. More recently he has edited The Children of Húrin, The Legend of Sigurd and Gudrún, The Fall of Arthur, and Beowulf, with Beren and Lúthien due to be published in May next year.